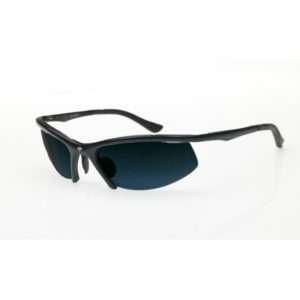 Protective eyewear for squash, badminton, pickleball and racquetball. Test drive amazing tennis-specific sunglasses that make the lines and the balls pop!! Come into our southwest Calgary store and test drive these amazing tennis-specific sunglasses. Not only do they make the lines and balls pop, they help servers who are serving into the sun recover from sun blindness much faster than traditional sunglasses. An aqua lens tint has long been the standard for enhancing yellow targets such as yellow tennis or pickleball balls. Dr Gary Nesty tweaked the conventional aqua tint to maintain the yellow ball enhancement but to also highlight the out of bound lines. This new Leverage Performance Tennis tint enhances the two most important targets for players. This fact alone would make this new tint a giant improvement over existing tennis/pickleball tints, but Doc knew there was another problem to be solved. The sun can be blinding when looking into the sky with any selective filtration tint to enhance a yellow ball, after all the sun is yellow too, so Doc added a 12% light transmission gray gradient to the top 25% of the Leverage Performance lens. In straight forward gaze the eye is viewing through the wavelength enhancing portion of the lens and the ball and lines are enhanced. When the wearer looks up, as when serving or returning a lob, the view is through the dark gray tint. When the human eye is exposed to bright light photo receptors are bleached out and the recovery takes a short period of time. Testing of this revolutionary tint on tennis players, at all skill levels, proved that visual adaptation time is improve by 1 to 1.5 seconds resulting in vastly improved performance considering the speed at which a tennis ball travels.